This didn't feel like it was made at the beginning of the 90s. The rhymes are clever, hilarious, and some of the topics are fairly woke. This is one of the most enjoyable hip hop albums to bust out, and other than a couple slight duds, it's good the whole way through. Del has one of the dopest rapping voices in hip hop. Loved almost every track on this album. Especially Mistadobalina and The Wacky World Of Transit. Del just brings fun quirky rhymes but in a very dope way. Purchasing I Wish My Brother George Was Here from Amazon helps support Album of the Year. Or consider a donation? 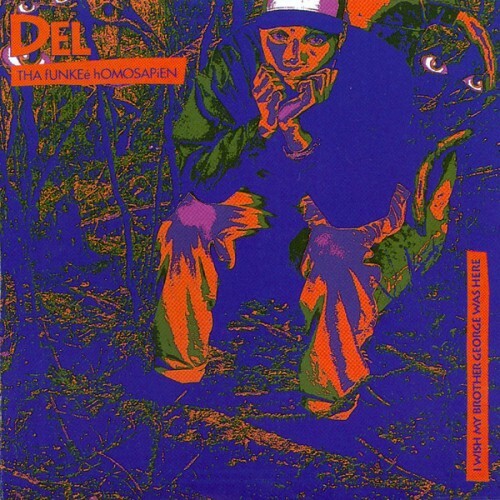 Album Stream: Del The Funkee Homosapien - "Iller Than Most"